A fraudster who was jailed for selling illegal cigarettes from his Wolverhampton shop has been told to pay back £61,000 or face another year behind bars. 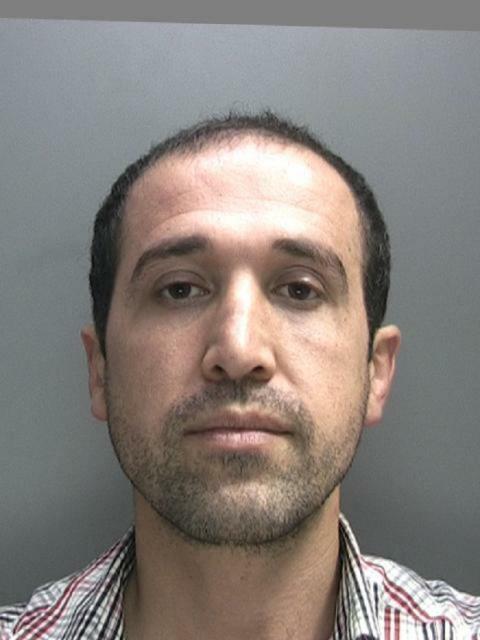 Arkani Muradi, 37, of Highfield Road, Birmingham, was caught hiding almost 400,000 cigarettes behind false walls, under floorboards, beneath a fridge and in a hole in a wall, by HM Revenue and Customs (HMRC) investigators in March, 2015. Muradi was jailed in June 2017 for two years and two months for evading £58,675 in tax. He has now been ordered to pay back £61,022 within three months or he will face another year in jail and still owe the money when released. During the investigation Muradi claimed to be a sales assistant and not the owner of his Euro Shop, in New Hampton Road West, Wolverhampton. He also gave a false name when officers raided his shop and a storage unit he had hired using an alias. “Muradi tried to conceal illegal cigarettes in every possible hiding place of his shop then desperately tried to lie his way out. 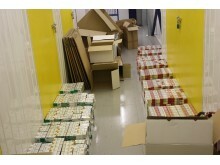 This case should serve as a warning to others involved in the illegal cigarette trade. HMRC officers, working with Trading Standards, also recovered 36 kilograms of hand-rolling tobacco and 195 bottles of alcohol. Information about any type of tax fraud can also be reported to HMRC online at www.gov.uk/report-an-unregistered-trader-or-business. 1.Arkani Muradi (DOB 31/12/80) of Highfield Road, Great Barr, Birmingham, pleaded guilty to 16 offences in March 2017 and was jailed for 26 months. On June 22 at Wolverhampton Crown Court, he was ordered to pay back £61,022.27 within three months or face a further 12 months behind bars under the Proceeds of Crime Act (2002). 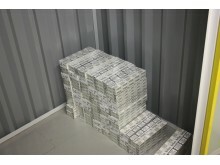 HMRC Investigators have seized nearly seven tonnes of illegal tobacco, worth more than £2 million in evaded duty, after a raid at a farm in Warwickshire.